It takes little more than a stroll around downtown Newburyport on any evening of the year to realize there’s plenty of entertainment and lots of people having fun in the area. 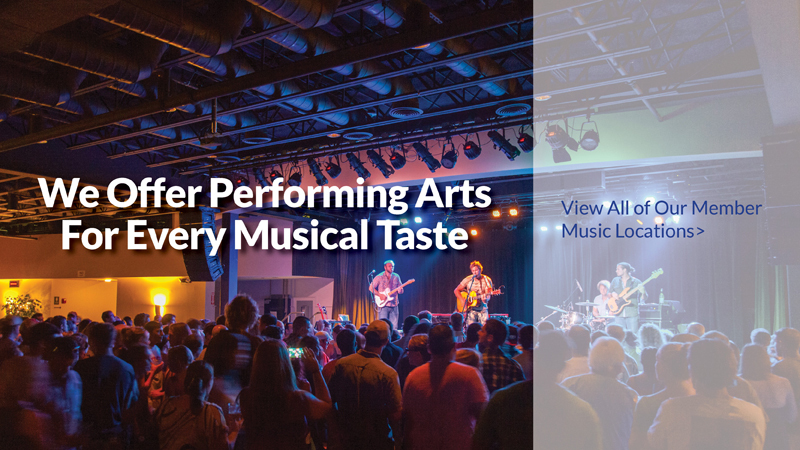 There’s live music of all kinds at Greater Newburyport restaurants and bars, where you might enjoy the melodies of solo guitarists and pianists, experience the Island feel of steel drums, or kick up your heels to a rock-n-roll band. The Custom House Maritime Museum is a must see landmark with incredible historical exhibits. The Maudslay Arts Center is also a popular Newburyport area venue for diverse musical and dance entertainment, as is the Firehouse Center for the Arts that regularly offers live music performances, comedy shows, fundraising events, and award-winning theatre. Theatre in the Open is another popular theater company for their free outdoor performances, also at Maudslay State Park. Or, you might reserve a spot on one of our many party boats and catamarans that cruise the Atlantic and Merrimack River in summer and fall. Some offer engaging atmospheres with live music and dancing, while others cater to foodies who love the ocean, by serving multi-course gourmet meals onboard. During the warmer months, it’s also common to catch live music and other entertainers in downtown Newburyport and along the scenic boardwalk, particularly when there’s a Greater Newburyport Chamber of Commerce sponsored festival. Across the bridge in nearby Salisbury, Mass., the Blue Ocean Music Hall continually keeps a jam-packed schedule of exciting performances that never fail to entertain. 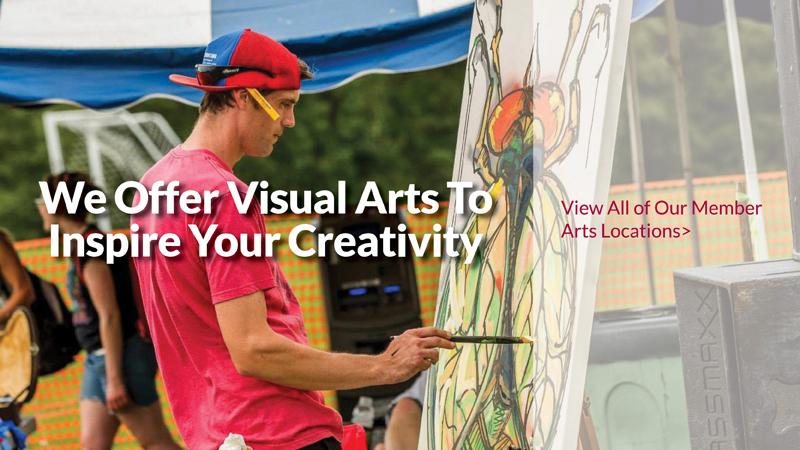 Greater Newburyport is also home to many resident artists and art galleries featuring paintings, photographs, jewelry, sculpture, and much more. Helping to maintain our strong art presence is the Newburyport Art Association, which houses three art galleries, a gift shop, and a studio for art classes for all ages. These are just a few reasons why Newburyport was designated an official Cultural District of Massachusetts! Search all of our Greater Newburyport events to see what’s happening during your next visit. Or, just follow the sounds of good times and cheer. For help planning your next trip, please feel free to contact us. 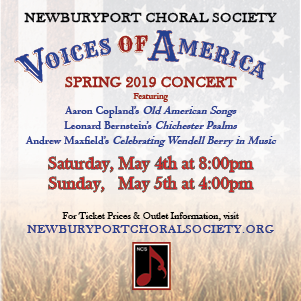 The Newburyport Choral Society’s 2019 Spring Concert, Voices of America will celebrate the contributions of three outstanding American composers of the 20th and 21st centuries -Aaron Copland, Leonard Bernstein, and Utah composer Andrew Maxfield. Through the inspiring music of these composers, our audience will be connected to different dimensions of the best of the American spirit.